The Golden Gate Bridge is a suspension bridge spanning the Golden Gate strait, the mile-wide, three-mile-long channel between San Francisco Bay and the Pacific Ocean. It has been declared one of the Wonders of the Modern World by the American Society of Civil Engineers. 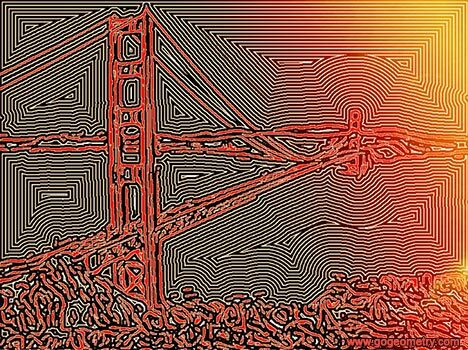 Source: Wikipedia, Golden Gate Bridge.